In India, 23 per cent of heart failure patients die within one year of diagnosis, a study revealed on Tuesday, adding that the country is next to Africa where the rate stands at 34 per cent. Of the total deaths, 46 per cent were due to cardiac issues, while non-cardiac causes led to 16 per cent deaths in patients, at one year, according to the first comprehensive study on heart failures conducted across six geographies globally. 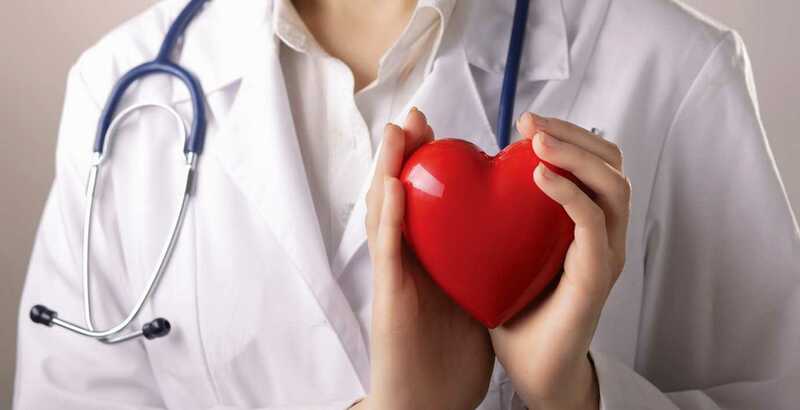 The International Congestive Heart Failure (INTER-CHF) study said that death rate of patients due to heart failures in Southeast Asia is 15 per cent, seven per cent in China, nine per cent both in South America and West Asia, significantly lower than in Indian patients. "In India, heart-related diseases occur a decade early than the people of west. Lack of awareness, out of pocket expenditure and lack of infrastructure are corroborating to the heart-related diseases," said Sundeep Mishra, Professor of Cardiology at All India Institute of Medical Sciences (AIIMS). Stating that with increasing life expectancy of the population, incidence of heart failure is increasing in an epidemic proportion, the cardiology expert said that the marked variation in mortality in low-income countries like India can be attributed also to the quality and access to primary healthcare facilities. The study was aimed at measuring mortality at one year in patients, due to heart failure in India, Africa, China, the Middle East, South East Asia and South America. During the study, 5,823 patients across 108 centres in six geographies were enrolled. Patients were followed up at six months and one year from enrolment. The mean age of patients was 59 years, with a male to female ratio of 60:40.The primary outcome of the study was to record all cause mortality within one year. A previous study by AIIMS, published in the journal of Practice of Cardiovascular Sciences, highlighted that late diagnosis results in one third of patients dying during hospital admission and one-fourth dying within three months of diagnosis. Calling for a community based approach to resolve the issue, Mishra said a lot of Indians also do not understand the difference between heart failure and heart attack because of which they do not consult doctors. "Heart failure refers to the condition where the blood pumping capacity of the heart is reduced. Whereas heart attack is secondary to blocked coronary circulation, where the blood supply to muscles of heart is cut or drastically reduced. Heart failure is a serious health hazard and can be life threatening if ignored," Mishra told IANS, while speaking about the rising heart failure cases. According to the World Health Organisation, heart failure impacts more than 60 million people worldwide. The risk of death of heart failure patients is comparable to that of patients with advanced cancer. It currently costs the world economy $108 billion every year. Although, heart failure may strike at any age, it is more common in people over the age of 65. It includes high blood pressure, prior heart attack, enlarged heart and diabetes. Mishra said the major reason for low awareness of heart failure among people is the fact that patients mistake it for signs of getting older. "Although there is no cure for heart failure, patients who are diagnosed early need to follow their treatment and make lifestyle changes to live longer, feel better and be more active. It is, therefore, vital that patients and care givers are aware of the symptoms of heart failure, leading to better recognition and earlier diagnosis," said Mishra.